Hi Everyone! Hope you guys are enjoying your week.. Happy Hump Day!! I just wanted to quickly share my interview/article with Hanuel with you. Hanuel is a jewelry and accessories company that's located in the DMV area. A few months back, they reached out to me and asked if they can share my story. I immediately researched the company and found nothing but great things about them. I came across and read their Journal, beautifully and well written stories about some amazing women. Long story short, I met with one of the owners (LOVE HER! ), started the planning, and had a photo shoot with them. Hanuel is by far one of the most amazing company I've worked with. I love the fact that they don't only sell Jewelry, they care for people and want to highlight women that are doing some amazing things. It is such a honor to be a part of their Journal. At a young age, she watched her mother sew beautiful Nigerian traditional attire. 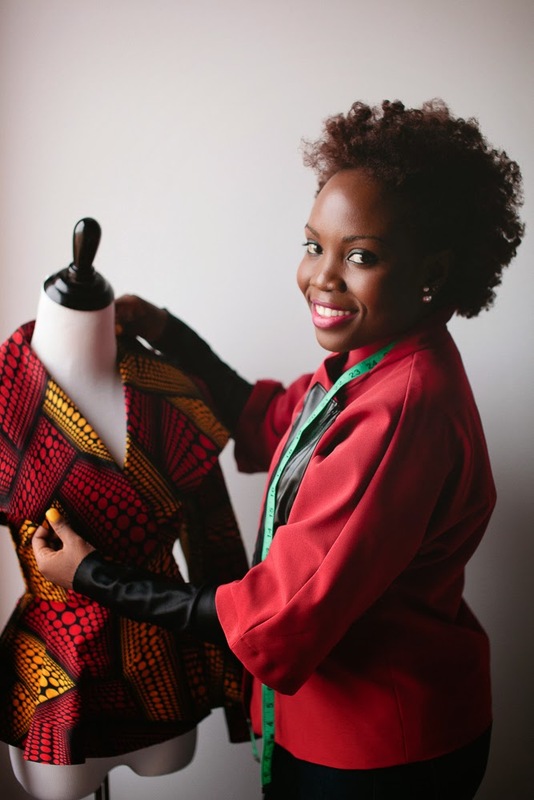 But it wasn't until 2011 that Yetunde found her passion for sewing & designing. And it set off a wildfire in her. 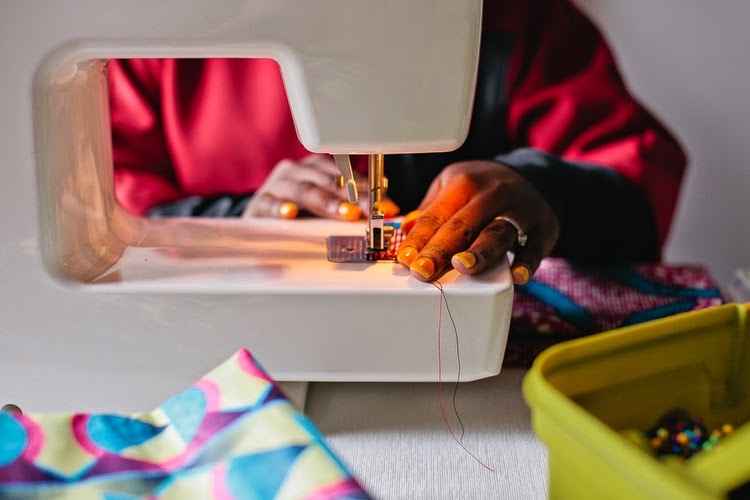 Since then, she creates & blogs at SewUrbane.com and co-founded Pretty Girls Sew in 2013 -- a community of "avid sewers and DIY enthusiasts" that invites women to "Learn. Inspire. Show off"! And as if that wasn't already enough, Yetunde recently launched her own line at YetundeSarumi.com. ** Pop the champagne! ** She's awesome, right?? But what really makes Yetunde special is the heart behind her many talents. She shares her passion freely so that others can learn & join her. Through projects that give back to those in need, she spreads compassion & joy. You know our favorite quote from Maya Angelou, the one we post repeatedly? "My mission in life is not merely to survive but to thrive; and to do so with some passion, some compassion, some humour and some style." These words describe her perfectly. 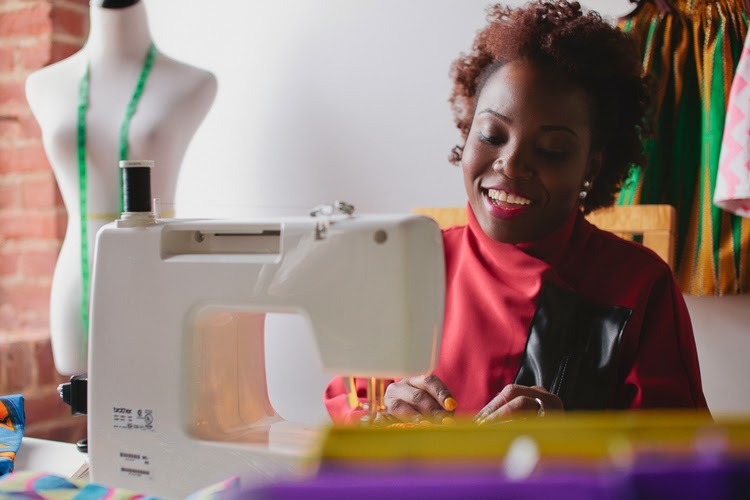 This is Yetunde, a Color-Loving Sewing Maven." Hanuel is offering my Friends/Family/Followers 20% off their amazing jewelry at Hanuel.com. Using gift code "YetundeSarumi", Expires 3/15/2015.